The Blaster for orange action as a mini version! The Nerf Stryfe is available here as a mini version of the original for collectors! 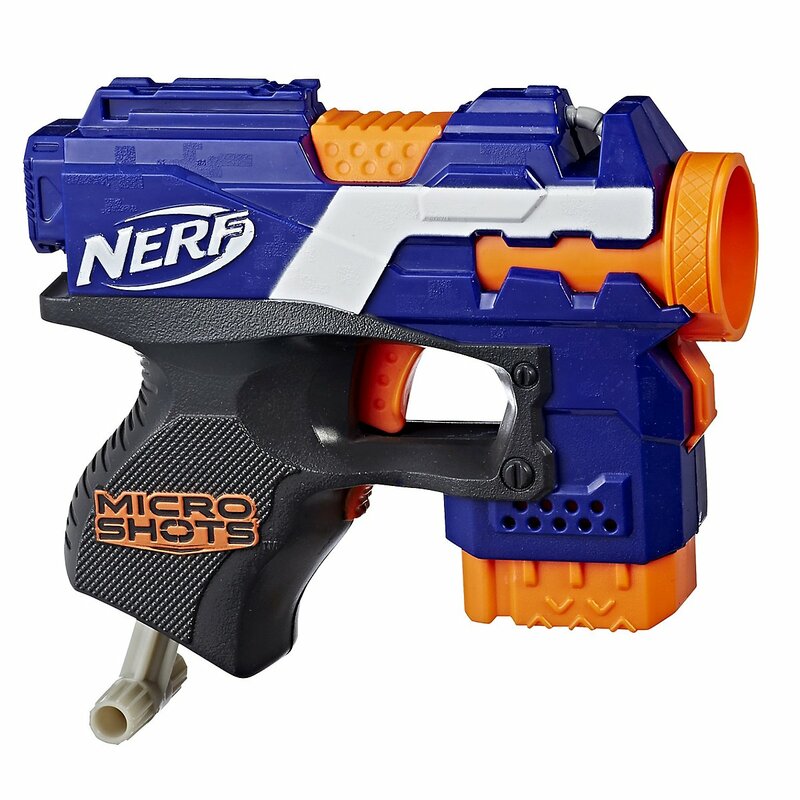 As a blaster-evergreen Hasbro has included the Stryfe in the MicroShots series, 5 more models are available. 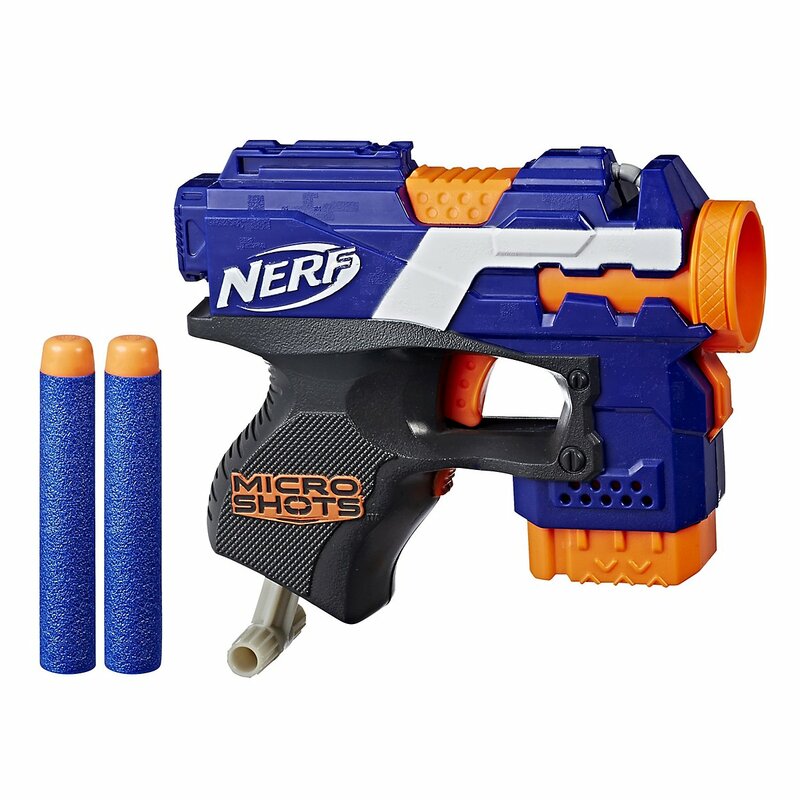 The MicroShot version is almost so cute, that it's just for collecting. But thanks to its practical size it is also the perfect little surprise revolver. Fortunately nothing has changed in design - it is now only super handy and compact. 2 Elite Darts are included in the package.